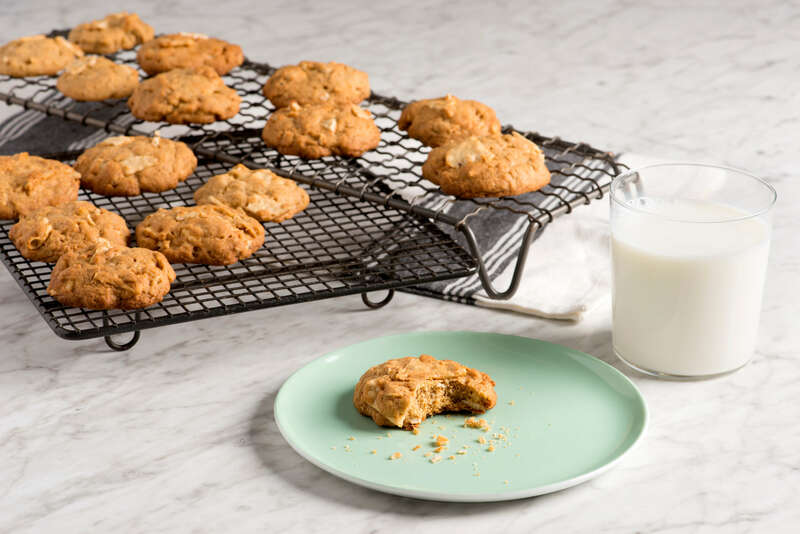 In a separate bowl, combine gluten free flour mix, Crunchmaster® Hint of Sea Salt 7 Ancient Grains Cracker crumbs, rolled oats, baking soda, baking powder and salt; add to egg mixture and mix well to combine. Add cinnamon, all-spice and orange zest. Mix well and portion out teaspoon sized balls onto baking sheets.